Concealers are a staple in my daily life ever since I was 12 – when I first noticed the existence of my dark eye circles. I have since gone through different brands/pots/sticks/coverage to get me through these years of panda eyes along with angry teenage acne. I had two holy grails, MAC Studio Sculpt and Ettusais Premium Perfect Clear Up Concealer, that had since discontinued and pulled out of Singapore respectively.. so what’s next? Ever since my acne had cleared up and my face was very well prepped for the wedding, I have avoided foundations and cushions as much as I can. Not concealers though, never. 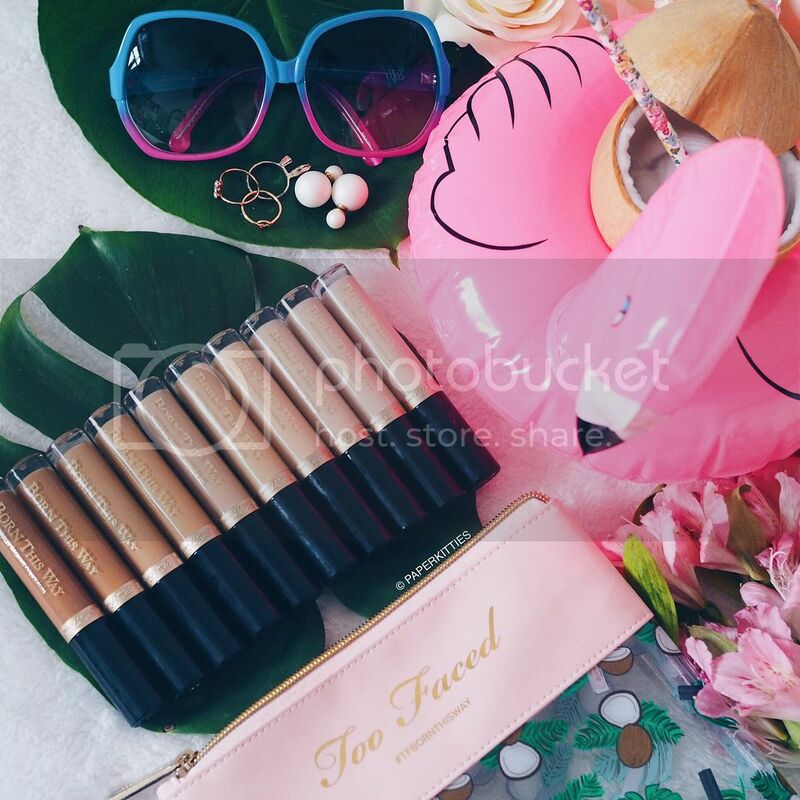 Today, I’ll be talking about one of Too Faced bestselling product: Too Faced Born This Way Concealer, to achieve your flawless “no-makeup makeup look” whilst covering the necessary flaws! 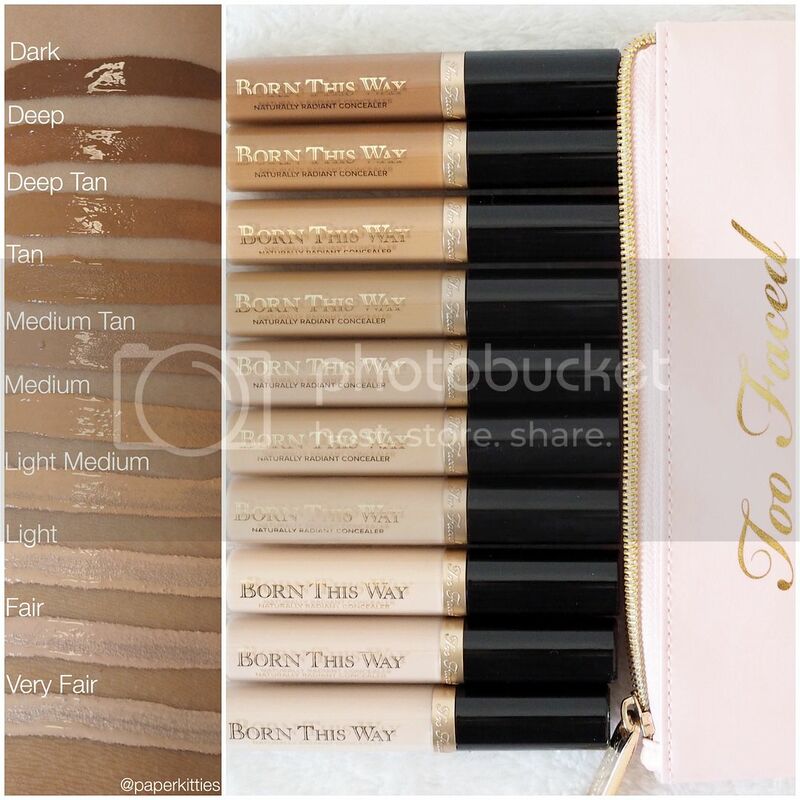 Too Faced Born This Way Concealer comes in 10 beautiful shades from Very Fair to Dark as swatched above, but please note that the first four shades (Tan, Deep Tan, Deep & Dark) will not be available in our Singapore Sephora outlets though. All in all, though it did not make the mark for my next holy grail concealer (as I need heavy duty coverage for my horrendously heriditary puffy dark eye circles to be concealed), I still find myself reaching out for it on days my face feel dry or when I’m out on a roadtrip! 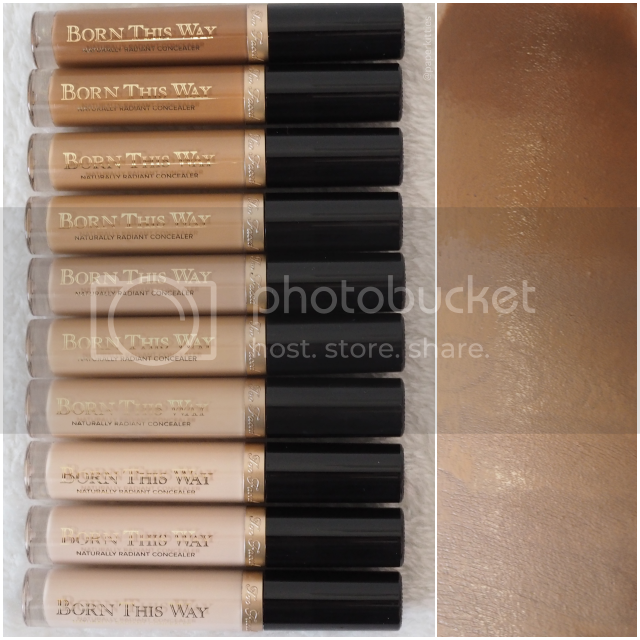 As my skin is on its transition period between oily/combination to dry, Too Faced Born This Way Concealer have been comforting to use as it hugs my eyes very nicely whilst keeping it hydrated. I personally find it more ideal for more mature ladies as it does blurs the look of lines and wrinkles.